So it is not overstating the case to describe Parisien as an artist who is setting the direction for his instrument. In the years since Sidney Bechet, John Coltrane and Steve Lacy, no player has devoted him- or herself to the soprano saxophone as intensively or with such a propensity to innovate. No one has brought out the vital, incisive, exotic, vibrato-rich tone of the instrument with such ease, and also recalibrated it and placed it at the centre of wholly new concepts. Parisien's new album "Double Screening" marks a return to the quartet format, and combines all of the qualities of this exceptional musician. Parisien lets jazz shine through in a way that is inimitable: he poses questions, he elaborates, he finds new answers and new ways to re-define the old. It can be visionary; it is also joyous. Parisien is increasingly integrating elements from his homeland as he creates a whirling mix of chanson with contemporary classical music, and also with French and North African folklore. His playing radiates improvisational dynamism and originality. He stacks up the ideas at a fast pace but concentrates on making his lines readily comprehensible to the listener. He doesn't have to overwork any single motif, because they come to him so thick and fast. He never goes the simple route, and yet the compositions, which are all by him or the band members, have rousing energy, demanding arcs of concentration, and astonishing stringency. These organized jollifications are full of unexpected feints and sudden twists and turns. The boundaries between composition and improvisation are cast to one side. The superb way in which these band members communicate with each other and avoid any sense routine is a joy to experience. This jazz is fresh, frantic and original; and it calls out for all the superlatives. Emile Parisien's prodigious gifts as an instrumentalist are in no doubt; in fact, it is not something he ever needs to prove. When he traverses into expressive free jazz areas, then rushes through tricky melody lines at top speed, lingers over complex ideas, or makes the soprano saxophone sound for a while like a Japanese Shakuhachi flute, it always has the purpose of serving the art. And there again, it's not about just the soloist either, but rather the band which instinctively, almost dreamily steers a course between the succinct and the emotionally honest, jumping out of the rough and immediately landing in the smooth. The music is built with precision, and yet it is full of spaces for individual spontaneity. This is new European jazz that is aware of its traditions, but can also depart from them to break new ground: it’s furious, it’s virtuoso and never ceases to take the emotions by surprise. The saxophonist Emile Parisien, born in 1982, enrolls in Marciac college in 1993, where he enjoys a musical formation with experienced musicians such as Pierre Boussaguet, Guy Laffitte, and Tonton Salut. Over these years, he has the opportunity to work with several leading figures of jazz: Wynton Marsalis, Chris Mc Bride, Johnny Griffin, or Bobby Hutcherson, who give him the opportunity to play with them on the Marciac Jazz festival. From 1996 on, he pursues further his formation at the Conservatoire de Toulouse where he studies classical and contemporary music with Philippe Lecoq. In 2000, Emile Parisien moves to Paris. Since then, he has played both in France and abroad with musicians such as Daniel Humair, Michel Portal, Jean-Paul Celea, Jacky Terrasson, Claude Tchamitchian, Yaron Herman, Gueorgui Kornazov, Rémi Vignolo, Manu Codjia, Hervé Sellin, Charlier/Sourisse, and Christophe Wallemme. In 2004, he takes part in the creation of the show HIP 11, which mixes jazz and hip-hop dances. 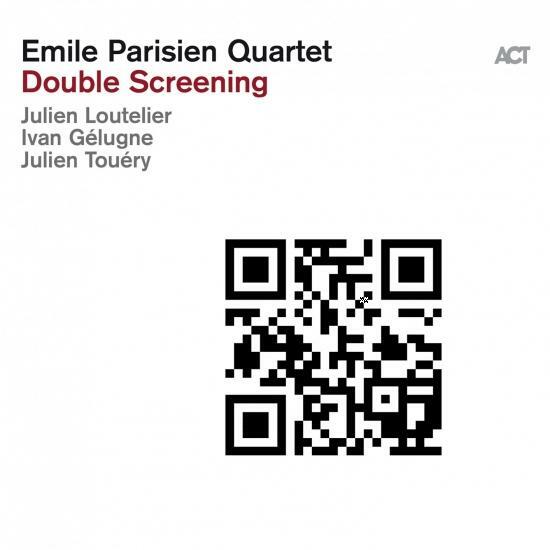 The same year, he asserts his artistic identity by founding the group Emile Parisien Quartet with Julien Touery (piano), Sylvain Darrifourcq (drums) and Ivan Gélugne (double bass). Inspired by composers of the 20th century, such as John Coltrane, Wayne Shorter, or Ornette Coleman, this quartet adds a kind of expressionist character to its music, where improvisation is the guiding principle. By pushing the limits of the concrete, the group acquires, thanks to the complicity of its musicians, a very personal and resolutely modern expression. In 2007, Emile Parisien was elected Talent of Jazz of the Fond d’action Sacem for 3 years in a row. It is with this support that the quartet records its two discs at the label LABORIE Jazz. “Au revoir porc-épic” in 2007, and “Original Pimpant” in 2009, which received good reviews both from professionals and amateurs. In September 2009, the Emile Parisian Quartet is offered the Franck Ténot prize, discovery of the year of the Victoires de la musique and they are award-winners of the program Jazz Migration which is put into place by Afijma. And plays in their cd “Sweet and Sour” released on 2013.on laborite jazz records. A new cd “live” will be issue on the end of 2014.. In 2012 Emile Parisien was elected “best french musician of the year” by the Académie du Jazz. in 2014 new recording “Belle Epoque” on Act records in duo with Vincent Peirani, and he is one the musician of the “Generation Spedidam” In 2014 he won “the Victoires de la Musique” for his record in duo “belle époque” with Vincent Peirani.